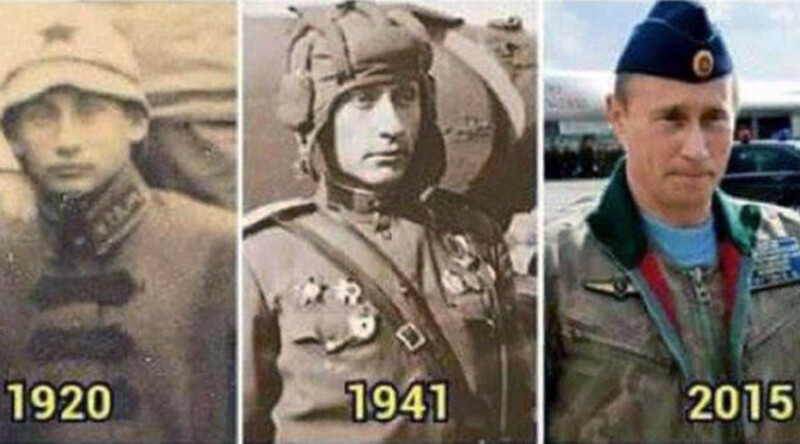 Vladimir Putin is either 100-plus years old and never ages - or a time traveler looking for the army of the 12 monkeys, the internet ‘proved’ this week. Conspiracy theorists are convinced by the ‘solid’ evidence that the Russian president may have been alive for more than a century. That would explain why he doesn’t look 63 years old. Year 2068: peanut butter shortages lead to the collapse of North America. Immortal Emporer Putin takes over the world. Vodka permeates life. This ‘discovery’ might create renewed interest in the recently-cancelled TV series Forever which features a similar plot premise. The 1995 film 12 Monkeys also features a character who travels through time, but he looks more like Bruce Willis than the Russian leader.